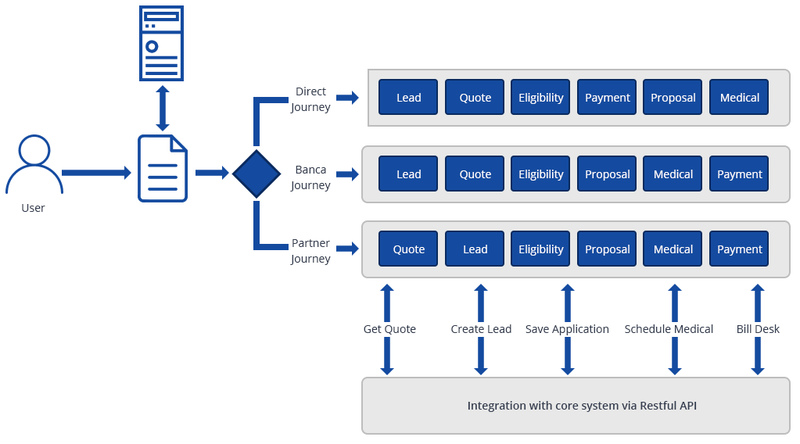 The Online Product Chassis is a framework to enable faster launch of digital Insurance products with a high degree of reusability of the “Buy Journeys” and minimal dependence of code for any change in the process. Leveraging this framework insurance companies can provide a personalized buying experience to each user and allow faster turn-around for releasing new products, and tweaking existing products. Roll out your digital insurance products seamlessly?